While textured hair looks gorgeous, not a lot of people realize how much work and effort goes into keeping it tame. 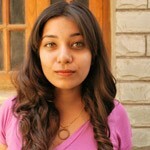 This is why a lot of people opt to get their hair rebonded. Not only does this treatment help make textured hair smooth, shiny, and easy to maintain, but it also saves a lot of time that would otherwise be spent on battling it out with your hair each morning. But how exactly does hair rebonding work? Keep reading to find out. Your hair is made up of amino acids. These proteins are connected by bonds that determine the structure of your hair – straight, wavy, or curly. Hair rebonding involves chemically relaxing your hair by breaking down these bonds and then rebuilding them to alter the structure of your hair. The process starts with the application of a relaxant, which helps break down the protein bonds in your hair. The hair is then straightened and a neutralizer is applied, which rebuilds the bonds with an altered structure. Hair rebonding is an elaborate process that incorporates the use of chemicals and heat to alter the structure of your hair. Depending on the length of your hair, the treatment can take from 3-8 hours. Following are the steps involved in the hair rebonding process. 3-8 hours, depending on the length of the hair. Hair is washed with a mild shampoo. Conditioner is not applied. It is then left to dry naturally or is blow dried. The stylist divides the hair into sections depending on the texture and volume. A relaxant from the hair bonding kit is applied while the hair is held straight with the help of thin plastic boards. The stylist takes care to apply the relaxant so that it coats every strand. The relaxant is then left on for 30 to 45 minutes depending on the texture of the hair. The hair is then steamed for 10-40 minutes depending on its condition, volume, texture, etc. The stylist proceeds to wash and dry the hair. A keratin lotion is applied, and then the hair is straightened with a flat iron at 180°C. A ceramic flat iron is used to do this. A neutralizer is applied to secure the bonds and left on for 30 minutes. It is then rinsed out with cold water. The hair is blowdried, a serum is applied, and the hair is straightened one more time. The rebonding process involves the use of heat and harsh chemicals. Soon after the process, your hair becomes extremely vulnerable to damage and requires intensive care. 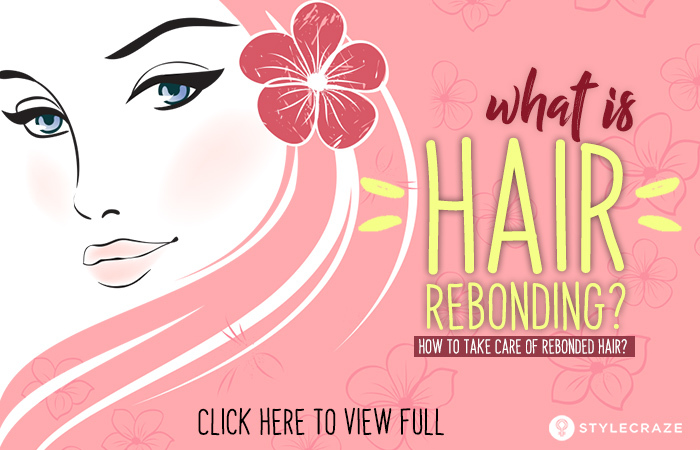 If your hair was rebonded recently, or if you are planning on getting it done, here’s everything you need to know about caring for rebonded hair. This is the most important thing to keep in mind when you get your hair rebonded. You cannot let your hair get wet, no matter what. It takes about 3 days for your hair to settle into its new structure and washing it before that happens is going to leave you with suboptimal results. It’s time to give up tucking your hair behind your ear and using hair ties or bobby pins. Hair fasteners can leave your newly re-structured hair with creases, which you want to avoid at any cost. This might be a little hard to do, but you need to ensure that your hair is mostly straight when you go to bed for the three days before washing it. You basically want to avoid anything that might cause your hair to lose its shape. When the three days pass and you can finally wash your hair, ensure you are using a mild shampoo specially formulated for chemically treated hair. After washing your hair, slather on some conditioner and wait a few extra minutes so that your hair can soak up some moisture. Your hair has already been styled! If you are positive that you cannot survive without a blow dryer, use it on the cool setting. Stay away from heat, it will only damage your hair further. For the next six months, consider chemical treatments as the spawn of the devil. This includes hair coloring. You do not want to over process your hair and 6 months is a good amount of time for you to treat your hair with good old TLC instead. Hair rebonding means damage, and damage means split-ends. You need to proactively visit your stylist every 6-8 weeks for trims. This will keep your hair healthy by preventing the damage from traveling up the length of your hair. Cold water helps seal your hair shafts, preventing moisture loss and damage. Not only will this help keep your hair conditioned, but it will also help improve the health of your hair while preserving its shine. If you cannot handle cold water showers, we recommend showering with lukewarm water instead. As long as you avoid warm or hot water, you are golden. Ensure that you are giving utmost importance to keeping your scalp clean. An unhealthy scalp with clogged follicles will lead to issues such as dandruff and hair fall. To avoid this, give yourself regular hot oil massages and wash your hair with an effective but mild shampoo. Your hair needs as much moisture as it can get. To keep your hair healthy, cut down on the number of times you wash your hair in a week. Ensure to keep the number under 3-4 washes a week. You can always use dry shampoo to buy yourself some more time in-between showers. Scarves, hats, and umbrellas are your best friends. It is extremely important to keep your hair safe from harsh environmental factors such as pollution, rain, and the UV rays of the sun. If you ever get caught in the rain, make sure that you wash your hair as soon as you get home. The pollutants and salts in rainwater are awful for your hair and can cause a significant amount of damage. Believe it or not, the health of your hair depends more on what you put inside your body than what you put on your hair. While topical treatments are important for keeping your hair healthy, you need to maintain a balanced diet to ensure that your hair is growing out healthy from the roots. What Products Should You Use For Rebonded Hair? After you get your hair rebonded, it is important to use the right products to help maintain your new style. Following is a list of essential products you will need to take care of your rebonded hair. When selecting a shampoo for your rebonded hair, look for labels that specify “for chemically treated hair.” While these shampoos may be a little more expensive, they cater to the needs of your processed hair and help maintain the style while improving the health of your hair. They also help nourish your hair with the proteins that it might have lost during the hair rebonding process. Conditioning your hair becomes crucial after a hair rebonding treatment. This is because after the treatment, your hair becomes dry and is in serious need of moisture. Co-washing your hair is also a good idea after a hair rebonding treatment. The breaking and rebuilding of the bonds in your hair take a serious toll on its overall health. Your hair needs protein and moisture to regain health. Treating your hair with protein and deep conditioning treatments will help get rid of the damage while giving your hair a chance to heal. Leave-in conditioners and serums help form a protective barrier around your hair shaft, preventing moisture loss. They also help protect your hair from environmental factors. Since your hair is vulnerable, using a wooden wide-tooth comb becomes important. This will help prevent breakage and you will not have to worry about static flyaways. Avoid combing your hair while it is wet. Regular oil treatments are important to help nurse your hair back to health. You can use oils such as coconut, olive, almond, jojoba, and castor, or even a blend of these. Oiling helps moisturize and nourish your hair while also boosting scalp health. With that covered, let’s look at some frequently asked questions about hair rebonding. What is the difference between hair straightening and hair rebonding? Hair straightening refers to the use of flat irons and mild relaxing agents that help achieve temporary results whereas hair rebonding refers to the process of altering the hair’s structure to achieve straight and smooth hair. Hair becomes fragile and vulnerable after the rebonding process. This can lead to issues such as breakage and split ends. The chemicals and heat can damage your skin and scalp but this is highly unlikely. If you have extremely frizzy natural hair, maintaining your style will require frequent touch-ups every 4-6 months depending on the rate at which your hair grows. This can be heavy on your pocket. Hair loss is a common side effect experienced by a lot of people who get their hair rebonded. When can I wash my hair after rebonding? It is recommended to wash your hair 3 days after the rebonding process for best results. How long will the effects of hair rebonding last? Hair rebonding is a permanent process. The rebonded hair will remain straight permanently, while the new growth will have your natural hair texture. Deciding to rebond your hair is a big decision. While it might be the right decision for some, it might not be the same for others. Ensure to do your research to find the right treatment for you. What do you have in store for your hair? Tell us in the comments section below. Lucky for us, we have the option to change the natural structure of our hair with perms. But how to take care of permed hair and how does it work? Keep reading to find out.